About to graduate, or just graduated and wondering what next? Working in a dead end job - or just couch surfing? Feeling like you've joined the queue but will never get to the front of it? Or just wanting to get ahead a bit faster? Author Jan De Sutter spends his life coaching and training people in these situations. Here he brings together a whole range of ideas, blending insights from his own hands-on experience and the wisdom of other experts, to help give you the edge to get your career moving. The book is packed with ideas to increase your self-awareness and trigger action. And it explains the behaviours that employers are looking for - and what you need to avoid. An initial chapter explains the difference between different kinds of intelligence and how these relate to emotional intelligence and soft skills. The book then systematically takes you through the essential soft skills, the 'core competencies' that will get you noticed and make your work more successful and fulfilled. These are Solving Problems, Meeting Expectations, Managing Time, Communicating, Working in Teams, Being Resilient, Managing and Leading, and Learning and Developing. Individual chapters for each competency discuss what they exactly involve and provide checklists of behaviours asking "Which of these sound like you?" Responses are ranked on a five-point scale from 'unsatisfactory' to 'exceptional'. The chapters then provide a wealth of practical advice on how to improve your behaviours for that particular competency, the things you need to prioritise, and what you definitely must avoid. 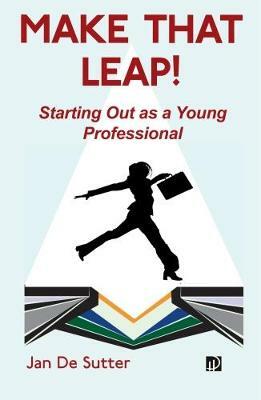 The book also includes annexes on how to land a first job and cope with interviews. The self-assessment can also be done via a FREE APP which automatically generates a personalised self-assessment 'competency passport' showing in graphical format your strengths and weaknesses and what you need to focus on. Using the app enables you to get the most out of the benefits the book provides. And it is easy to use and highly intuitive. Jan De Sutter is a Brussels-based coach and trainer specialising in helping individuals to achieve career success. His previous books include 'The Ultimate EU Career Development Book'.